So, if you've been doing a little shopping here and there, you may have spotted a lovely cowl at the Gap that looks something like this. Apparently, it was a popular accessory this season because many stores are sold out (and I believe they're sold out online as well) and anyway, I decided I had to try to re-create it myself. Because it's a totally easy-peasy pattern. It's just a lot of seed stitch. So I did. (I also may have done a little ... ahem ... research/stitch counting in the store to make sure mine came out pretty close to what theirs looks like.) I love the ginormous blanket-y size of this thing, big enough to go around your neck twice. I promise I'll give this a go with a hook, but since I can't crochet, I'm wondering if you're making these for the ol' shop. I guess I should go look. I love it + I want it. You are the best!!! Thank you! It looks fabulous!!! Happy holidays!!! I'm still a pretty new knitter and just made my first cowl this weekend! But I'm totally going to try this one next after I (attempt to) knock out this hat I'm working on. 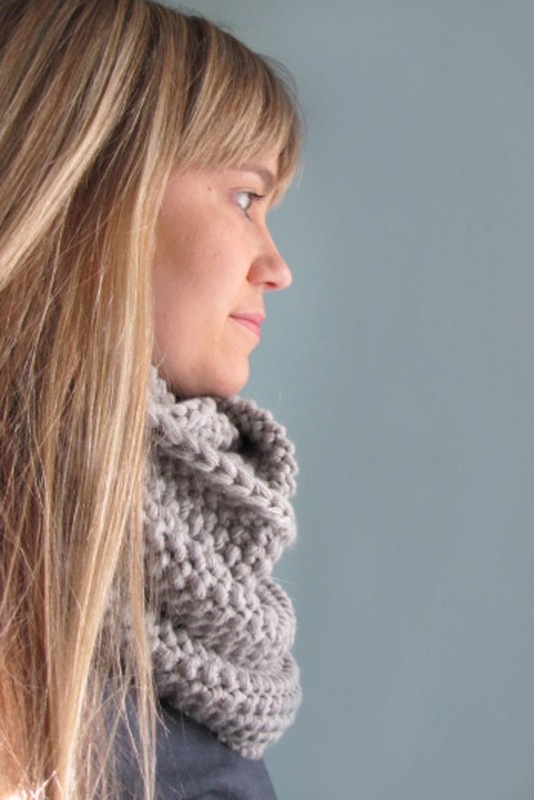 you are a knitting pattern master! Thank you for the pattern, it's very cute. I will be making a few of these for Christmas, if I can be fast enough. you did an awesome job girl!! thanks for the link:). 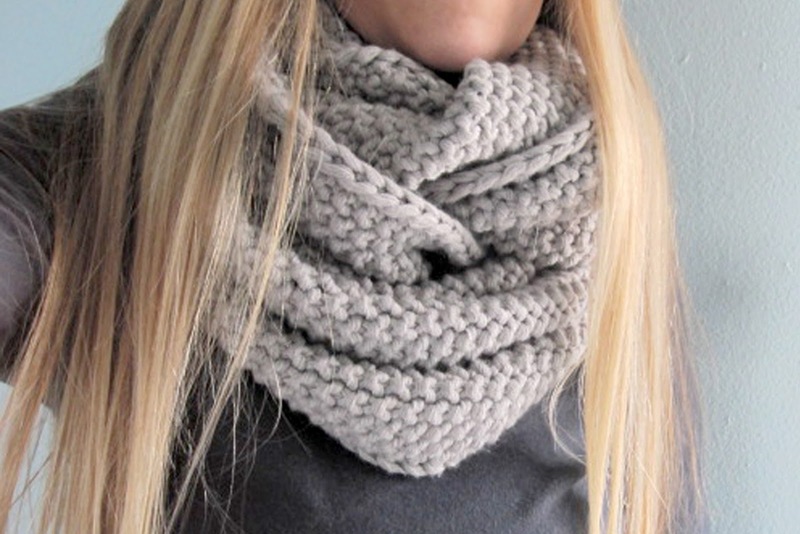 great job on the scarf! I posted about taking this pattern on as my current project - I'll be making 5 of them :) I've linked back to your blog, I hope you don't mind. Thanks so much for this pattern! I can only hope that mine looks as good as yours. Thank you so so much for the pattern. I just finished making one of these and am loving it already. So many options for how to wear it. Thanks a ton!! Thanks to pinterest I found your blog! You are my new favorite person for posting this pattern!! Thank you so much! I'm interested in trying out this pattern; however, I am going to have to order the yarn online. How many skeins do you suggest for this pattern? I'm trying out your pattern but having difficulty...I put 131 sts on and joined the ends together but I'm puzzled on the size of the circle. It's small and not nearly are large as the picture you show where it comes down to you waist so you can loop and double it around your neck...is this pattern suppose to be a single cowl that you just slip over your head?? ...the needles must be longer than indicated in the pattern.